The conversation started with a discussion about the inequality in wages for women and men. For those that don’t know, women make 75-80 cents on the dollar for the same work, according to the research. We spent a brief amount of time chatting about this. I moved on, primarily because I’m not well versed in that research or situation. I could talk more about violence against women and the amount of violence perpetrated by men against other men as well. But we didn’t go there. I steered the discussion to issues of race. And to be sure, when someone starts asking “have you read…?” You can guess the conversation isn’t going any where productive. In this great country, and I do believe it is amazing, people are free to create as much success as their own choices will allow. I struggled to address the particular fallacy of his argument. Because I do believe we are free to make our own choices. I missed the point… Those, generally white, hetero, males, in positions of power are free to make their own choices as well. If my Black and Brown brothers need to apply to 10 times as many jobs to get the same position as an equally qualified white person we’ll never find equality. 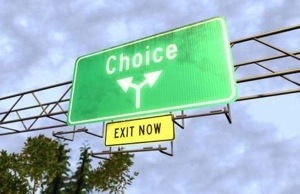 Addressing the particular issue of personal choice, what are your thoughts? This entry was posted in Opinion or Personal Account and tagged cultural competency, opinion, race. Bookmark the permalink. 1 Response to Addressing personal choice as a barrier to cultural competency. The best analogy I’ve heard for this is the birdcage analogy. Social structures and systems act like a bird cage around lower income and predominantly minority communities. Structures that mean urban schools get less funding than their suburban counterparts, systems that ensure the only jobs left in those same neighborhoods are those in service (and therefore minimum wage). The door is open, but it’s a very small door, and a bird in the cage will have to work harder to reach a plate of birdseed placed outside the cage than would a bird already outside. Personal choice is often outweighed by the need to provide for your family in an economy where even two minimum wage jobs barely covers expenses. How does one “make the choice” to go to school or pay the heating bill? How does one choose between anything when their entire focus is bent on survival?